The Harvard Lodge – A.F. & A.M. The Harvard Lodge A.F. & A.M. was instituted on May 18th 1922, as the first Academic Masonic Lodge in the United States. The Lodge was founded primarily through the efforts of Roscoe Pound, Dean of Harvard Law School, and Kirsopp Lake a Professor at Harvard Divinity School. The thought of forming a Masonic Lodge at Harvard had been around for some time. 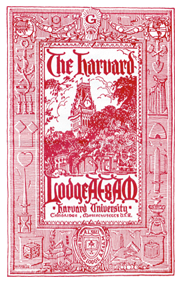 The earliest record of an attempt to establish a Lodge at Harvard occurred in 1863. At a private meeting of 14 Master Masons, it was decided that a new lodge in Cambridge be formed. The direct origins of The Harvard Lodge stem from a few other Masonic clubs and organizations that were functioning at the University in the early 1900’s. These included the Harvard Masonic Club, The Square and Compass Club, and the Harvard chapter of the Acacia Fraternity. 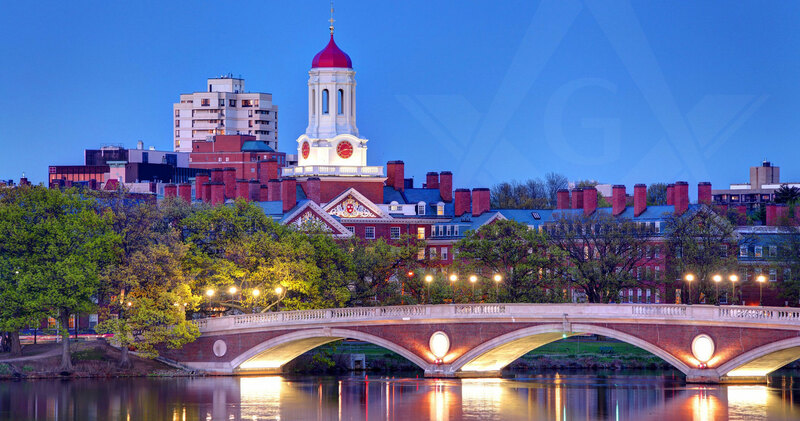 The Harvard Masonic Club was a club for Masons who were attending Harvard University. It was not a Masonic Lodge, but rather a club for men who were Masons. One of the many notable members of this group was President Theodore Roosevelt, who was awarded honorary status. In March of 1922, at a dinner of The Harvard Masonic Club it was decided that the first American Masonic Academic Lodge be formed, that being The Harvard Lodge. In order for it to be an academic lodge, it would restrict its membership to those who have a connection to Harvard University. By May of that year, The Harvard Lodge was constituted, and The Harvard Masonic Club, quickly dissolved and reformed into The Harvard Lodge.